Planning your perfect dream wedding can be a very daunting task, requiring hours of research and a lot of time spent visiting various venues. 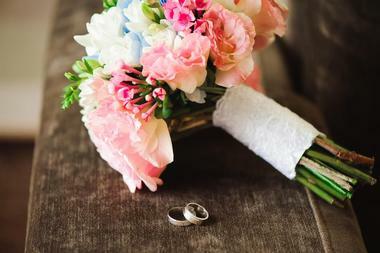 Couples who plan to tie the knot in Maryland are lucky to have a great selection of wonderful wedding and event venues to choose from, many of which offer the services of an experienced wedding planner to make life a whole lot easier. The Chesapeake Bay area offers a selection of wonderful waterside venues, or you could opt to celebrate in one of the state’s historical mansions and villas. There are also several sophisticated city venues and a few inns and resorts where your entire wedding party can check in for an entire weekend of celebrations. Glen Ellen Farm offers couples a very pretty rustic venue where they can exchange vows surrounded by the bounty of nature. The lovely ceremony site is located at the edge of a natural spring-fed pond, and your photographer can give free reign to their creative side by using the old ruin as an unusual photo backdrop. Elegant, casual, or themed receptions are held in a large tented pavilion that offers great views of the old mansion and the surrounding fields and gardens. Glen Ellen Farm allows you to choose your own wedding coordinator and vendors but will also be happy to supply you with an in-house coordinator to take care of all the details. Historic Savage Mill was built in 1820 on the banks of the Little Patuxant River and operated as a fabric mill until 1947. The enormous complex has now re-invented itself as an antiques, arts, and restaurant complex and events venue. The Great Room is a light and airy wedding venue, offering skylights and 14-foot windows, alongside a large tented deck that is the perfect location for your ceremony. The complex encompasses many historic buildings to form the perfect backdrop for your photos, and there is ample on-site parking for your guests. The venue is managed by Putting on the Ritz, whose experienced events planner will coordinate everything from lighting and décor to fabulous food and drinks. Nestled in a peaceful cove off Chesapeake Bay, the Oaks Waterfront Inn and Events provides a peaceful and serene setting for your big day. You can exchange vows right at the edge of the water before slipping off for photos against the backdrop of a beautiful Chesapeake Bay sunset. Your guests will enjoy pre-reception cocktails on the dock or rooftop terrace before you all move into the Grand Ballroom for a memorable reception. The bride and groom get to spend their wedding night in the romantic bridal cottage, and there are 14 lovely guest rooms to accommodate some of your guests. 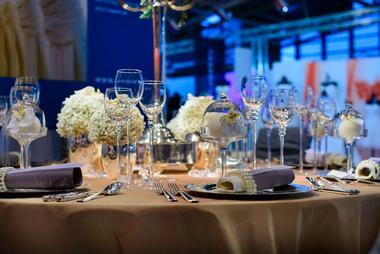 The venue is famous for superior catering, and the events planner will work with you to choose all your vendors. 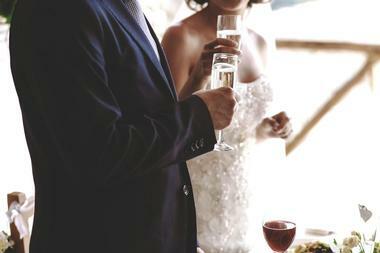 Weekend packages including rehearsal dinners and two night’s accommodation are available. You can add a wow factor to your Baltimore wedding by holding it at the historic 1840’s Plaza, a designated Baltimore City Landmark in the heart of Museum Row. The plaza has three separate event spaces for you to choose from for your reception and ceremony, including the elegant 1840’s Ballroom on the fourth floor, which offers stunning views out over Baltimore’s Inner Harbor. You can tie the knot outside in the landscaped garden courtyard, host your reception in the ballroom, and then spend your wedding night just across the plaza in a luxury suite at the Carrollton Inn. You can choose your caterer from an approved list and you will have the services of a dedicated event planner to assist you. The Anchor Inn is perfectly positioned at the very edge of the water, providing a delightful bayside setting for your special day. 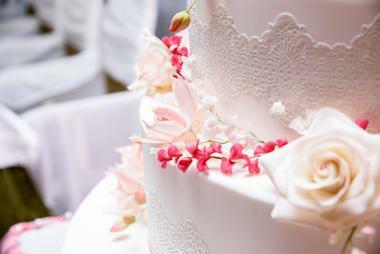 The experienced staff at Anchor Inn will work closely alongside you to take care of all the details so that you can relax and enjoy your special day. Fully inclusive packages are available, and the up-scale caterers offer over 100 items so that you can choose the perfect menu to suit your style and budget. Drinks packages vary from soft-drinks only to a premium open bar. 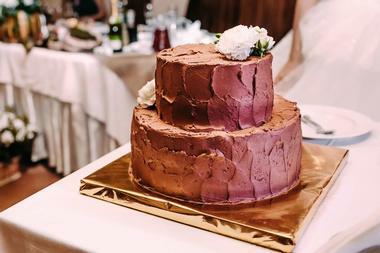 Desserts include a variety of delicious sweet indulgences and all the packages include your choice of wedding cake. If you dream about tying the knot in a beautiful outdoor setting against a backdrop of stunning mountains and vineyards, you will find that Big Cork Vineyards has loads of ambiance and some of the best views in the state. The vineyard is full of beautiful outdoor spaces that can be transformed into your dream setting for both large and smaller weddings. In addition, you have the option of booking the venue for the entire weekend so that you can hold your rehearsal dinner and spend your wedding night in the lovely Big House. Depending on your style and theme, you can host your reception outdoors (roofless) or in the beautiful barrel-lined cellar. You will be hard-pressed to find a more spectacular backdrop for your wedding than the amazing Bohemia River Lookout on the shores of the Elk River. The stunning property was once the private playground of some of America’s most elite families and offers three separate venues for you to choose from. Each of the venues include a mix of indoor and outdoor spaces for your ceremony, and reception and wedding packages include all the chairs, tables and other necessities. The manor and the beach venues can accommodate up to 250 guests each (tented reception area included), while the beautiful and rustic barn is perfect for smaller weddings of up to 120 people. Couples who are looking for an easily accessible rural farm setting for their wedding should take the time to visit Caboose Farm, which is located a short distance from Baltimore, Washington D.C., and Harrisburg. 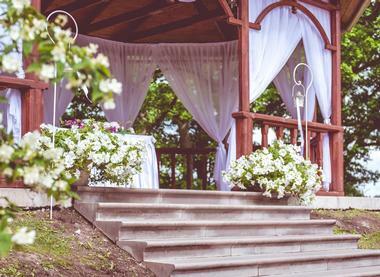 There are several pretty outdoor spaces where you can exchange your vows before moving in to host your perfect reception in either the event barn or a tented reception area. 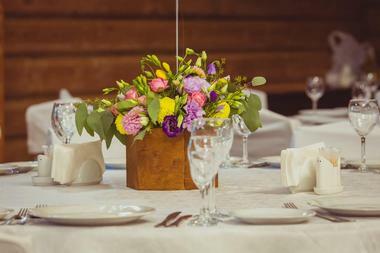 Single-day weekday and weekend packages are available, but many couples opt to rent the property for the entire weekend, which is perfect for enjoying your rehearsal dinner on site and having plenty of time to decorate. There is a seven-bedroom farmhouse on the property if you require overnight accommodation, and you will have the services of a dedicated events planner. Imagine tying the knot in style, right on the water’s edge on Chesapeake Bay. Celebrations at the Bay has over 30 years of experience in hosting perfect, fully inclusive bayside weddings, and the venue has two separate spaces where you can host the perfect indoor/outdoor wedding directly overlooking the bay. The Tented Vista Ballroom can be set up in various configurations to suit weddings of up to 300 people, while the Chesapeake Ballroom, with floor-to-ceiling views of the bay, is perfect for smaller celebrations of up to 150. 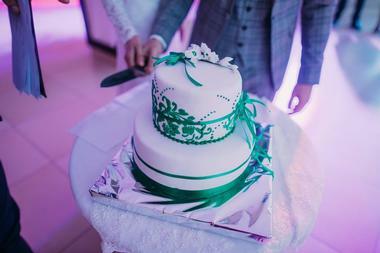 Your fully inclusive wedding package (venue hire, food, drinks, décor, etc.) 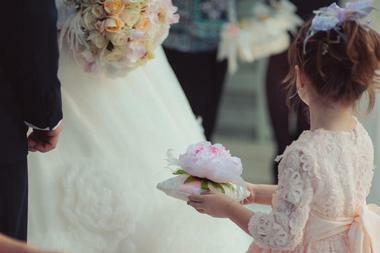 takes all the worry out of planning your special day so that you can relax and make memories. The historic 1888 Ceresville Mansion is an ideal venue for an elegant indoor/outdoor wedding. The mansion is surrounded by 25 acres of beautiful riverside property featuring mature trees and gardens and a beautiful pavilion, either of which are ideal for outdoor wedding ceremonies. 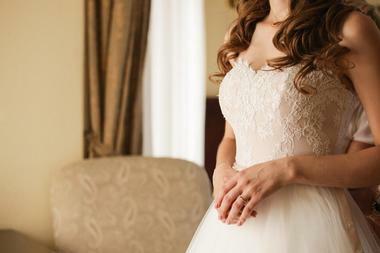 Ceresville Mansion offers a full-service wedding package so that you do not have to worry about the details. Their wedding packages include the service of a very enthusiastic and experienced event planner to ensure that every aspect of your big day runs like clockwork. Once you have decided on your menu, the culinary staff will be happy to suggest the ideal wine to accompany your wedding meal. Baltimore couples are very fortunate to have an elegant wedding venue located just steps away from the Inner Harbor. 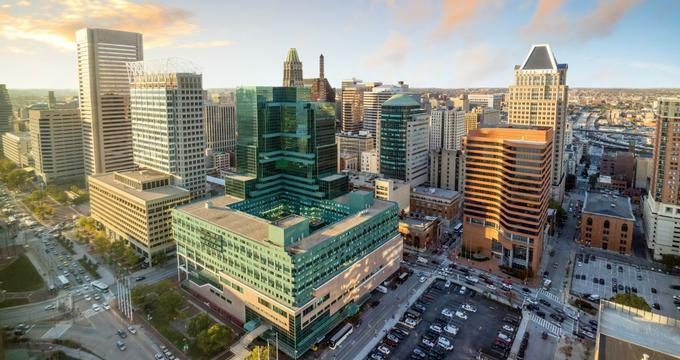 Located in the Legg Mason Tower, the venue features floor-to-ceiling windows and open balconies that offer expansive views over the harbor. You can choose from three beautiful spaces to exchange vows, and the reception area can accommodate up to 250 guests. 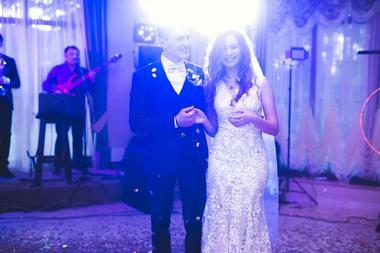 You can leave all the arrangements to the event coordinator, who will ensure that everything is perfectly planned and executed – all you need to supply is your own band or DJ. 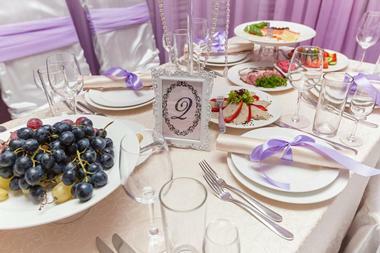 There are various customizable catering packages for you to choose from. Herrington on the Bay offers couples the choice of two stunning waterfront wedding venues guaranteed to provide the ideal setting for a fairytale wedding. The Herrington Bay Garden and Yacht Club offers a classic resort-style backdrop for your wedding, featuring lush gardens and a harborside patio for your ceremony as well as elegant indoor ballrooms where you and your guests can dance the night away. The Polynesian Lawn and Paradise Ballroom offer another option, featuring a waterfront pier and secluded garden for your ceremony and a sophisticated tented pavilion for your reception. You can enjoy an all-inclusive wedding package including décor, catering and bar, and the services of a wedding planner at both venues. 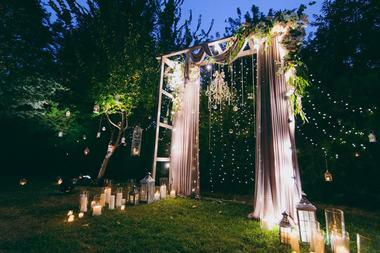 There is something especially romantic about celebrating your wedding surrounded by the ambiance of yesteryear. The Historic Inns of Annapolis are a trio of beautifully restored historic buildings in the heart of the Annapolis Historic District that offer several event spaces to accommodate both your ceremony and reception. Many couples choose to exchange their vows in an outdoor garden setting before moving indoors for a reception to remember in the elegant Duke of Gloucester Ballroom. Your fully customized wedding package includes the services of a dedicated event planner, who will work hand in hand with you to create the wedding of your dreams. Kentlands Mansion is the ideal venue for couples wanting to add a little style and elegance to their wedding day. The lovely old mansion features beautiful wood paneling, crystal chandeliers, and a stunning curved staircase – ideal for making your grand entrance. 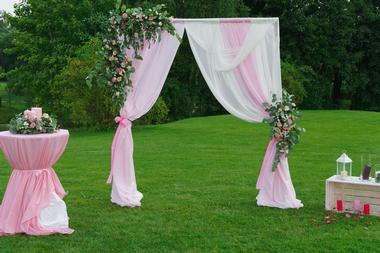 Outside, you will find a pretty garden that is ideal for photos and an outdoor ceremony. Inside the mansion there are a variety of rooms and verandahs that can be used for cocktails and can seat up to 110 guests for your reception. The enthusiastic events planners at Kentlands Mansion will work alongside you to turn your wedding vision into an unforgettable reality. Nestled in the rolling Maryland hills, Milton Ridge provides a beautiful and romantic venue for both your ceremony and your dream reception. The venue includes a delightfully restored historical chapel where you can say “I do,” or you could opt to exchange vows in the beautiful outdoor garden and patio area. The reception hall is a blank canvas awaiting your inspiration, and the Milton Ridge staff will help you turn it into the perfect setting for an unforgettable reception. 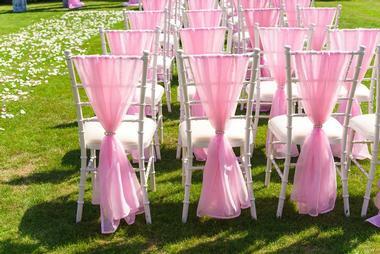 The venue offers customized fully inclusive wedding packages, making it easy to budget for your special day. 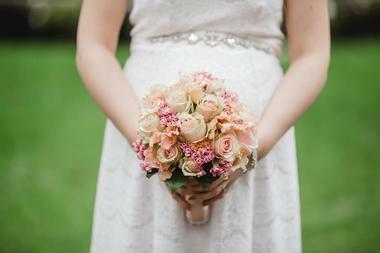 The bridal cottage is the perfect place for the bride and her entourage to get ready. Surrounded by over 300 acres of rolling green hills, the Morningside Inn is an ideal venue for an indoor/outdoor farm-style/barn wedding. You can exchange vows at the outdoor pavilion, which overlooks acres of green Maryland meadows, or move everything indoors if the weather is less than perfect. Your wedding dinner will be set up in the upstairs dining room, after which your guests will follow you down the elaborate curved staircase to continue the party in the reception room. Both the bride and groom have comfortable suites where they can prepare for their big day, and your personal wedding planner will be on hand to ensure everything goes according to plan. Couples looking to tie the knot against the stunning backdrop of a Chesapeake Bay sunset need look no further than the Silver Swan Bayside venue at the Queen Anne Marina on Kent Island. The venue boasts beautiful gardens for your photos, a private beach or grassy lawns for your ceremony, and a stylish under-canvas pavilion for your dream reception. 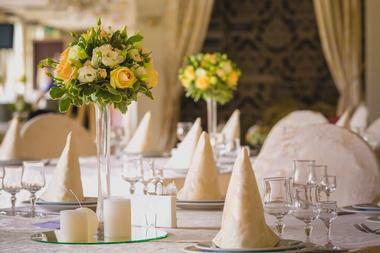 In the event that the weather is less than perfect, everything can be set up indoors in the elegant dining room. 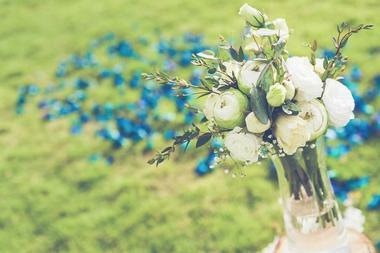 The experienced staff at the Silver Swan will help you plan every detail of your wedding. 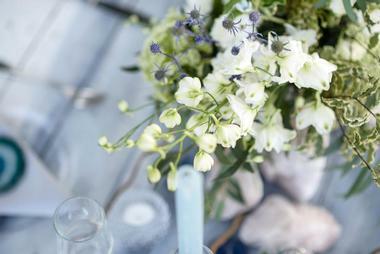 from choosing your linens and décor to helping you select a catering option to suit your style and budget. You can leave all the planning to them or keep your finger firmly on the pulse – whichever suits you best. If you fancy celebrating your wedding in a fantastic restored 1844 barn, you need look no further than Spring Hill Manor in Rising Sun. The barn is a completely unique venue that features rustic hand-hewn beams, stained-glass windows, and a collection of eclectic antiques to give it an unsurpassed ambiance. 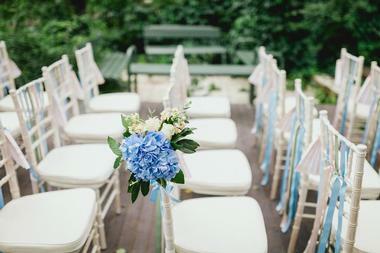 Most couples prefer to exchange their vows in the garden before moving into the barn for the reception. 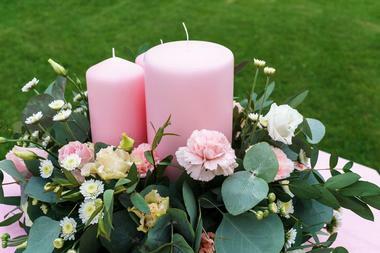 Should the weather not cooperate, your ceremony can easily be moved indoors. Spring Hill Manor provides a perfect backdrop for your imagination to run wild, and you are free to use vendors of your choice to customize your dream wedding day. The Springfield Manor estate is an historic 130-acre property surrounded by vineyards and lavender fields against a backdrop of the scenic Catoctin Mountains near Frederick. 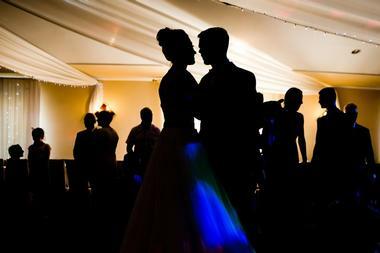 The 1776 manor offers an elegant ballroom as well as a romantic barn, both of which can accommodate up to 300 guests. The restored barn is ideal for a themed country-style wedding, while the ballroom is perfect for a more formal and elegant affair. Most couples choose to exchange their vows in the lovely gardens surrounded by nature, while the lavender fields hold untold possibilities for your photographer to exploit. The bridal couple and some of their guests can stay overnight in one of the luxurious suites at the Inn at Springfield Manor. You can start your married life in style by hosting your wedding at The Grand, one of the most opulent historic wedding and event venues in Maryland. The Grand offers five floors of remarkable event spaces, featuring marble staircases, stained-glass windows, extra-high ceilings, and the last word in glamour. 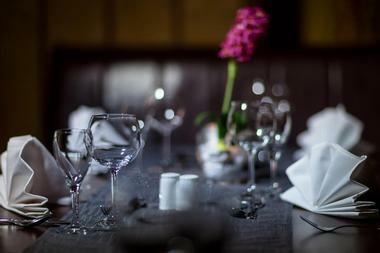 There are 16 individual themed spaces to choose from, and the elegant and sophisticated venue offers suitably elegant gourmet catering to suit your individual style. You will have the services of a wedding planner to help you make all the right choices and to ensure that everything goes according to plan on your big day. Your out-of-town visitors can check into the adjacent Embassy Suites by Hilton, which is linked to the venue by skywalk. The Villa is conveniently located within reach of Washington D.C. and offers a great mix of elegance, style, and convenience. Everything you need to realize your dream wedding is available on site, and the venue offers a fully inclusive package so that it is easy for you to budget. There are two stylish ballrooms to choose from for your reception, surrounded by a lush Mediterranean-style garden, where most couples choose to exchange vows. The reception venues feature unique up-lighting (in a variety of colors) to set the mood, and you can choose from a huge variety of linens, décor, and other props to personalize the room. Catering can be anything from continuous cocktails to a sumptuous five-course dinner. Beautifully situated on the Eastern Shore of Maryland, the Waterfront Historic Kent Manor Inn is an idyllic wedding venue within easy reach of Annapolis, Washington D.C., Virginia, and Baltimore. You can expect to find several versatile indoor and outdoor spaces for both your ceremony and reception, and the inn is also a full-service hotel with 24 luxury guest rooms. You can tie the knot at the Bayside venue overlooking beautiful Chesapeake Bay or choose the Fieldside venue, where you will be surrounded by rolling green meadows. 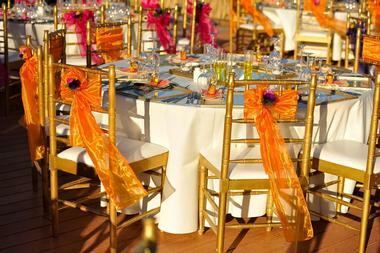 Receptions are held in beautiful tented and draped pavilions with your choice of décor. 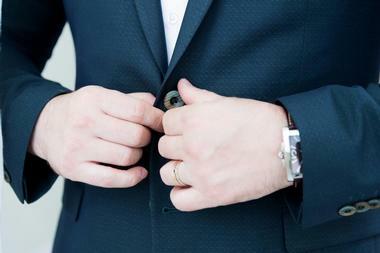 The inn offers the services of a knowledgeable “day-of” coordinator to ensure that all the details are taken care of. Couples who would like to tie the knot in a resort setting that offers more than just a wedding venue should book a tour of the lovely Turf Valley Resort in central Maryland. Turf Valley can not only offer indoor and outdoor options for both your ceremony and reception, but also provide accommodation for your entire wedding party as well as recreational extras such as golf (on two championship courses), a spa, and an outdoor swimming pool. Most couples choose to exchange their vows in the expansive gardens before moving indoors to one of seven reception areas to suit both intimate and larger weddings. The resort offers a wide range of catering and bar options, and you will have the services of a wedding planner to help you orchestrate the resort wedding of your dreams. If you long to celebrate your big day surrounded by the charm and elegance of an historic boutique hotel, the Vandiver Inn could be the answer to your dreams. The quaint Chesapeake Bay inn is perfect for weddings and boasts a beautiful wedding gazebo, outdoor pavilion, and large dining room, all of which can be customized to suit your idea of perfect. The inn prides itself on providing delicious catering choices using fresh local ingredients and can also supply just about everything else you need to set your wedding apart. The inn can accommodate family and friends in 16 beautifully appointed boutique rooms so that you can enjoy an intimate morning-after breakfast send-off. Nature-loving couples can celebrate the most important day of their lives surrounded by nature in the stunning Audubon Society’s Woodend Sanctuary and Mansion. You can say your vows in charming Hemlock Grove or choose your favorite scenic spot anywhere else on the property. If the weather is less than perfect, your ceremony can be held in the Great Hall or the tented terrace. Summer receptions can be indoor/outdoor affairs, while winter receptions are warm and cozy in the Great Hall. You are allowed to supply your own wine without a corkage fee and you may also choose your own caterer from an approved vendor list.